When Savannah was a little younger. 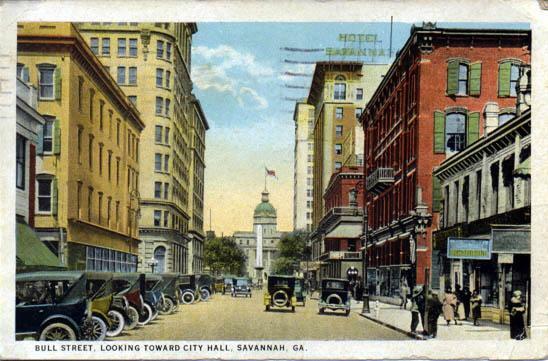 Savannah is credited as being America's first planned city. 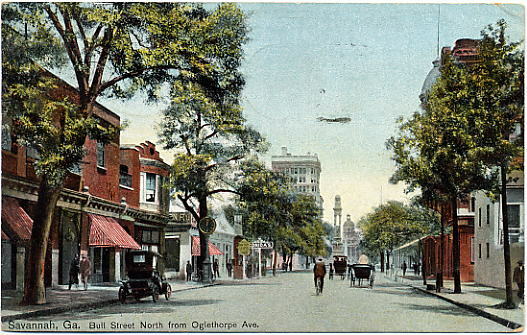 Oglethorpe laid the city out in a series of grids that allowed for wide open streets intertwined with shady public squares and parks that served as town meeting places and centers of business. 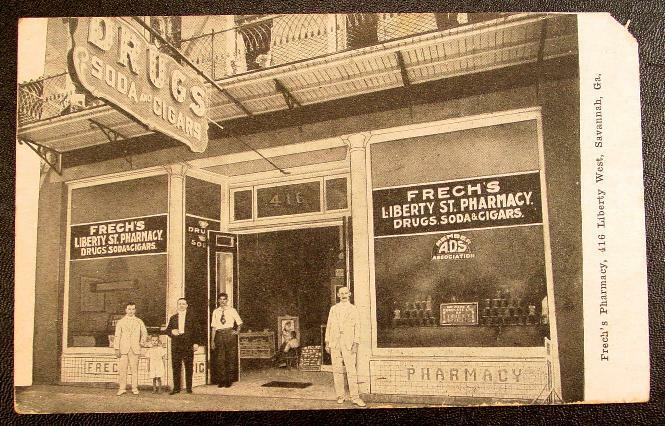 Savannah had 24 original squares with 21 still in existence. 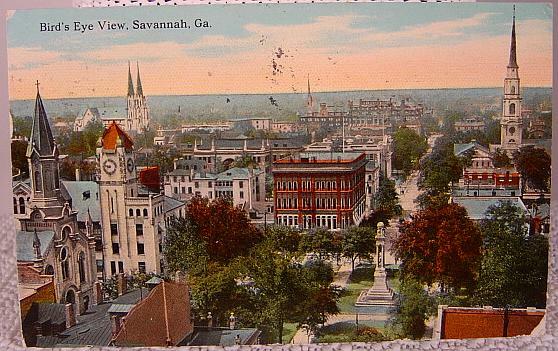 During the American Revolution the British took Savannah in 1778, and held it until July, 1782. A land-sea force of French and Americans tried to retake the city in 1779, first by siege and then by direct assault, but failed. 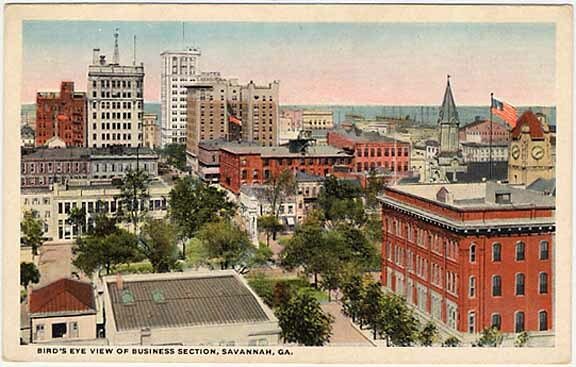 The colony would see a generation of peace where Savannah flourished on the world scene as a cosmopolitan city. 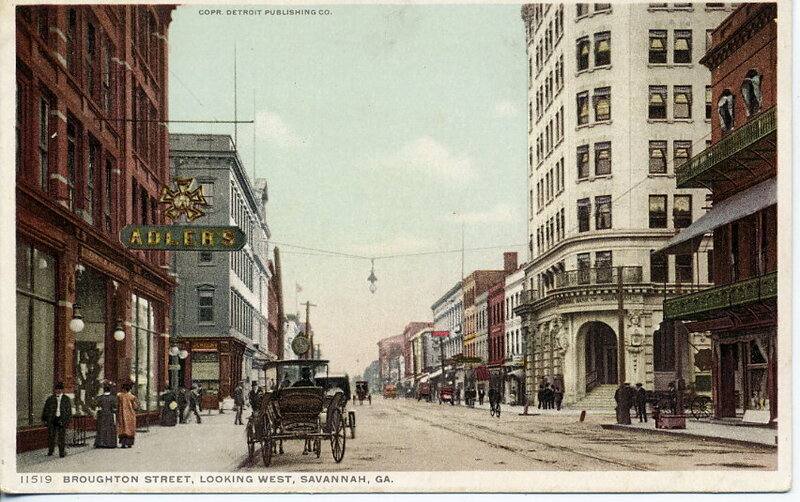 In 1819, Savannah made worldwide news as the home port of the steamship S.S. Savannah. The Savannah was the first steam-powered vessel to cross the Atlantic Ocean. She left Savannah on May 22, 1819, and arrived in Liverpool, England twenty-nine days later. 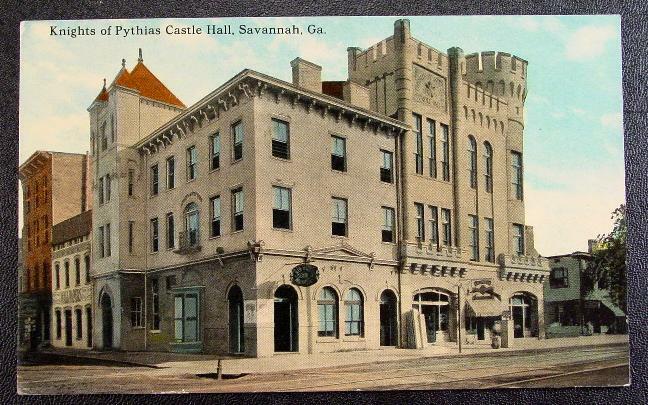 Through a century of glory and growth, even Savannah was not spared from certain misfortunes. 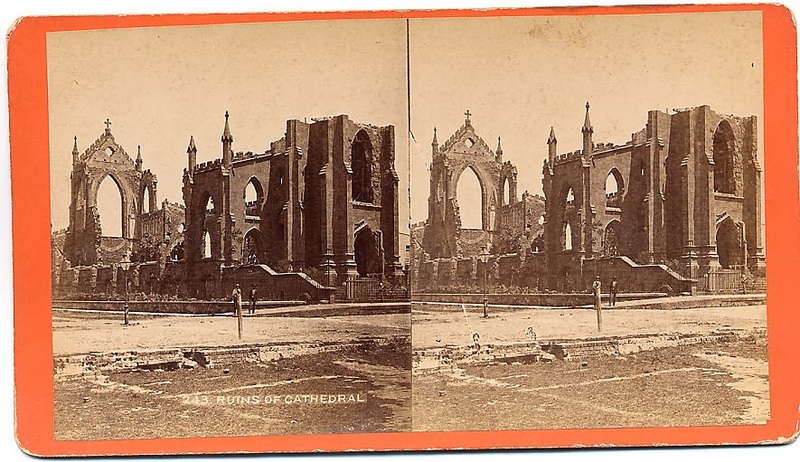 Two devastating fires in 1796 and 1820 each left half of Savannah in ashes, but residents re-built. 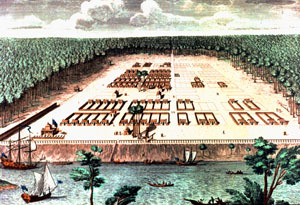 The year 1820 saw an outbreak of the yellow fever epidemic that eradicated a tenth of Savannah's population. Savannah survived fires, epidemics and hurricanes, always bouncing back to glorious life afterwards. 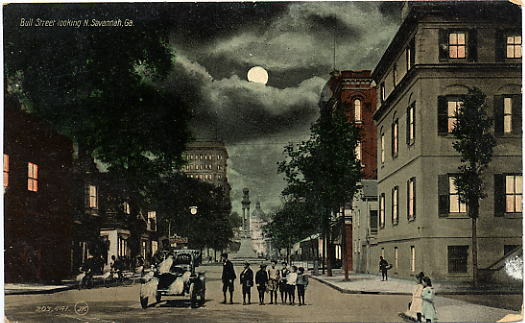 Rich and prosperous, pre Civil War Savannah was praised by many as the most picturesque and serene city in America with grand oak trees dripping with Spanish moss and genteel people who exhibit exceptional charm. 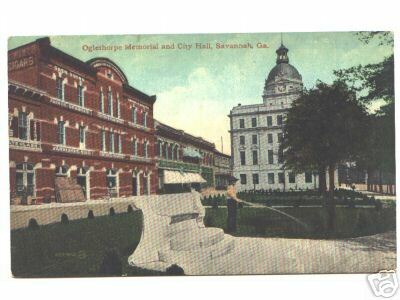 The Georgia Historical Society was founded in that era and Forsyth Park got its grand ornate, cast-iron fountain in 1858. 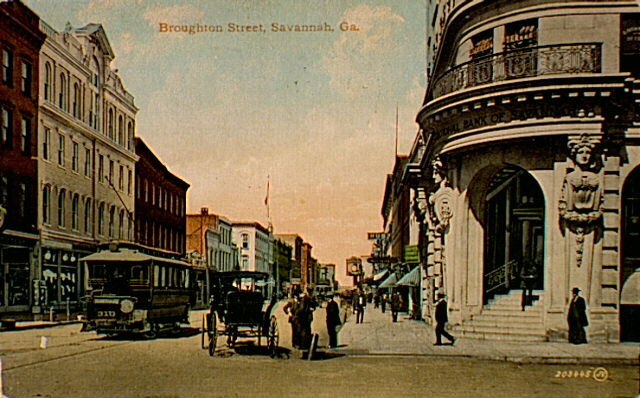 With the onslaught of the Civil War, the city suffered from sea trade blockades so strict that Savannah's economy was soon crumpled. Fort Pulaski, built to be impregnable on Cockspur Island at the mouth of the Savannah River, was captured by Federalist Soldiers in 1862. 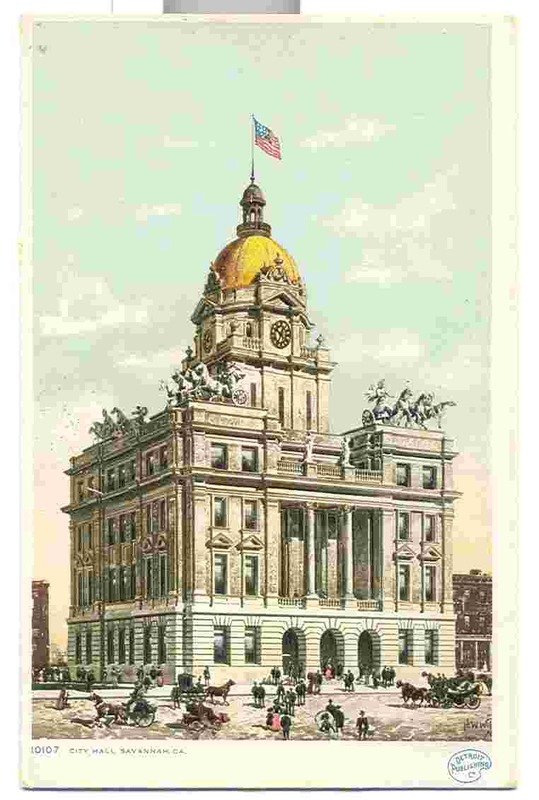 The city did not fall until Union General William Tecumseh Sherman entered the city walls. In 1864, Sherman began his march to the sea, burning the city of Atlanta and everything else in their path on the way to the coast. Savannah was evacuated and avoided destruction. 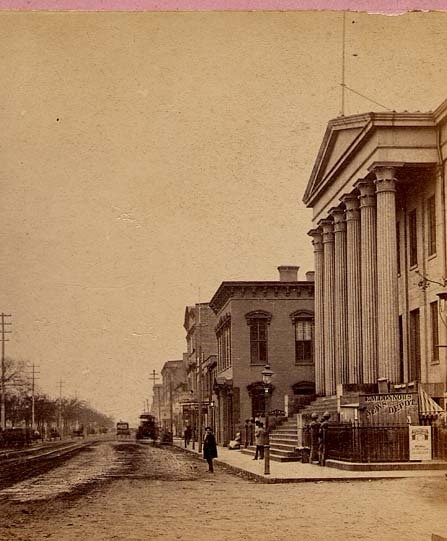 Upon entering Savannah, Sherman was so taken back by its beauty that on December 22, 1864, a legendary telegram was sent from Savannah and delivered to then President Abraham Lincoln, by which Sherman presented the city of Savannah to Lincoln as a Christmas present. 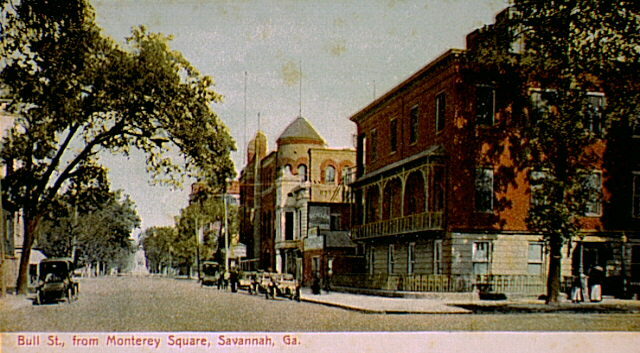 With the arrival of Sherman's troops, the war was over for Savannah and a period of reconstruction would begin. The post-war years brought about a new movement in Savannah in the realms of aesthetics, culture and economy. A group of concerned women organized in the 1950's to preserve historic structures threatened by the wrecking ball of urban renewal. 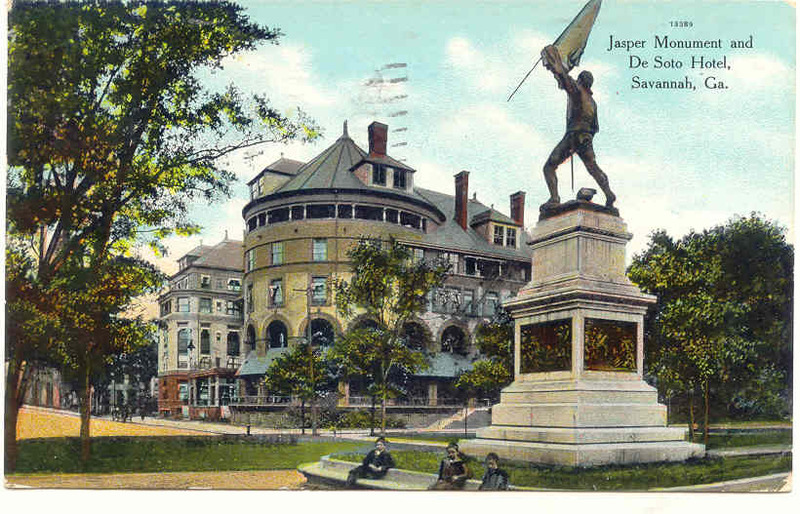 The brave endeavor gave rise to the Historic Savannah Foundation who since its inception has saved multitudes of buildings whose beauty and appeal was the foundation of Savannah's charm. 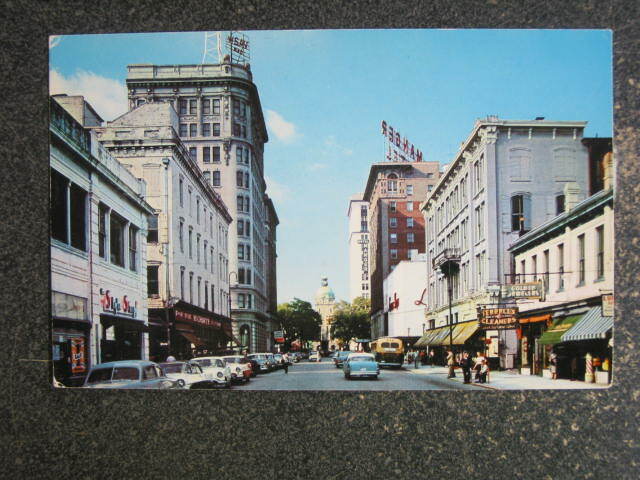 Savannah's Historic District was designated a National Historic Landmark in 1966 and remains one of the largest historic landmarks in the country. 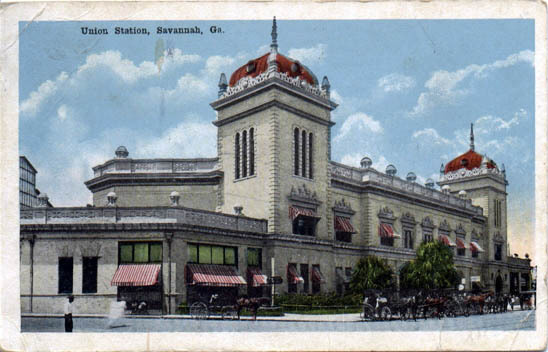 Union Station, It was demolished in 1962 to make way for Interstate 16 exit ramps. 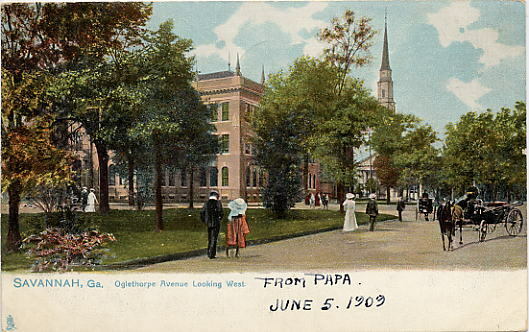 Looking towards City Hall, before Gold was added to the Dome. 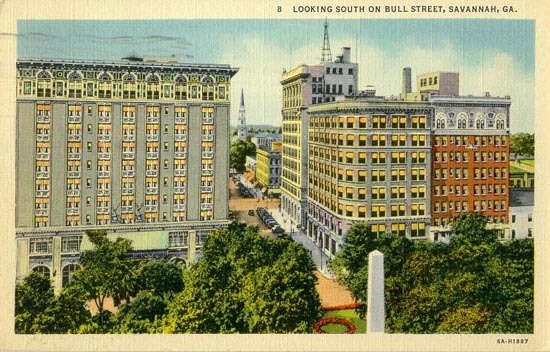 Brown building on left was torn down for the Hyatt on the river. 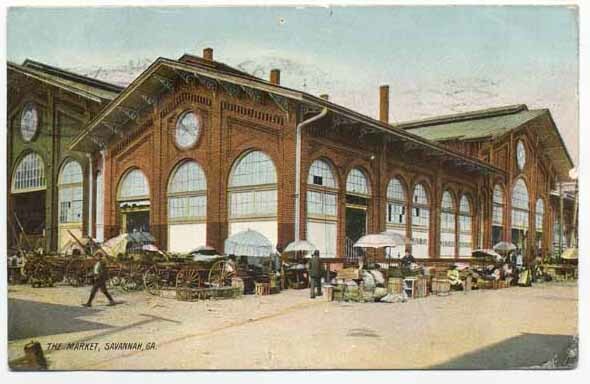 City Market, torn down for a parking garage. 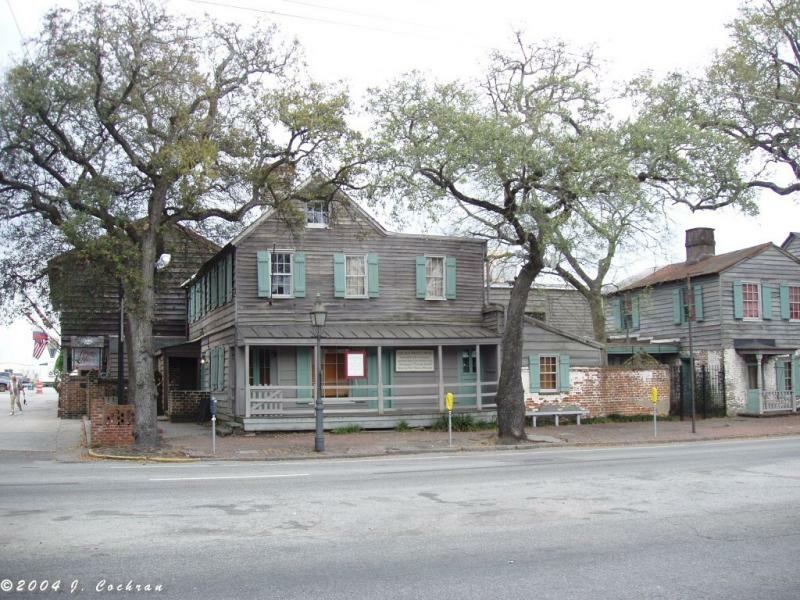 The Pirates House (1754), near the corner of East Broad and Bay streets, may be the single most famous structure in Savannah. The wooden structure dates back to the late 18th century, having been a tavern and a gathering place for sailors of many nationalities, many of whose activities would not withstand the light of day. And it is famously mentioned in "Treasure Island," Robert Louis Stevenson's tale of piratical greed and revenge -- Captain Flint, based on an historical character, is supposed to have died there while calling for rum. It is comforting to know that even pirates needed some solace for the approach of the afterlife. 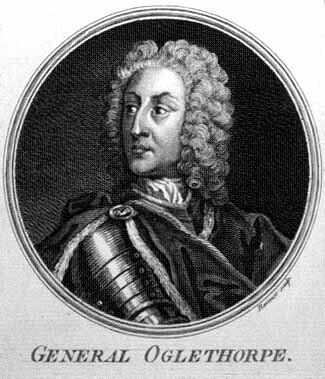 Captain Flint and other long-since dead, blood-thirsty pirates allegedly used the Pirate's House as a rendezvous and kidnapped unsuspecting men into piracy through tunnels leading away from the establishment to their ships on the river. But Flint's ghost doesn't want to leave the room at the Pirate's House where he died, probably from stomach cancer. 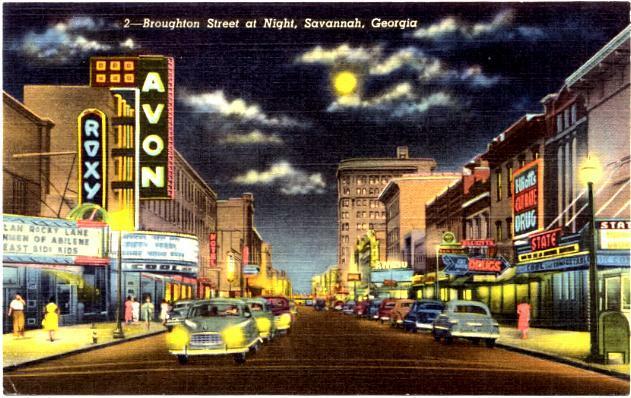 Ah, I love the old pictures of Savannah. A place like that will rarely change over the years. One of the most beautiful cities on earth. As usual, thanks for the pics, SavannahGA.